Foster your child's love of nature with this gardening tool set. This Kid's Garden Tool Set allows children to "dig" right in. 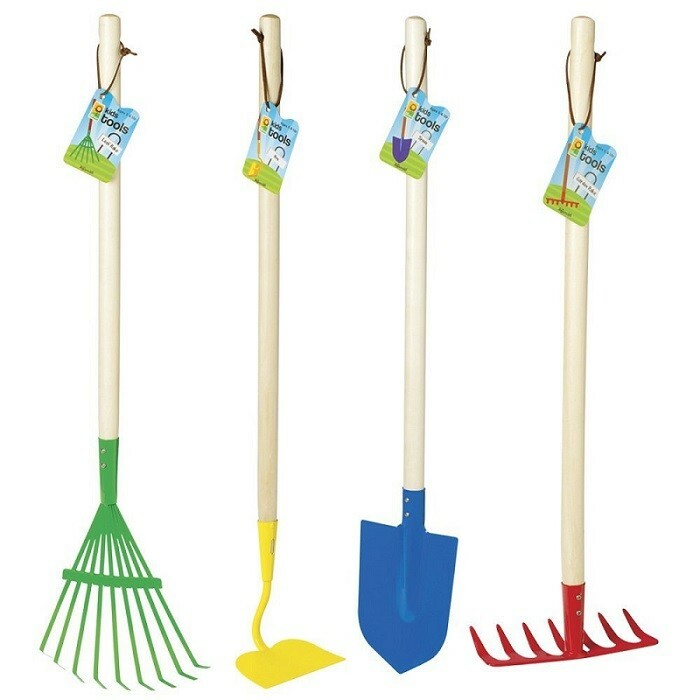 Comes with a garden rake, spade shovel, hoe, and leaf rake, all with 27.5" handles. These are terrific for outdoor play, but they're also real tools, so your aspiring gardener can work her own plot.